Slim light signs are normally combined with 3 layers. the LEDs are built inside the second layer and light up the whole surface and the edges. 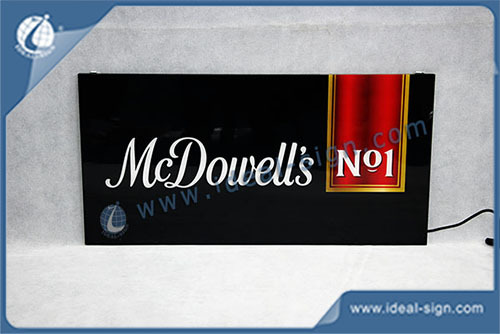 This sign, Instead of normal duratrans/film that put in the middle, we print the picture /logo at the back side of the front panel; this makes the image of the water splash effect more vivid.